Welcome to Livery Buttons Identified, a website that will be a growing reference of identified livery buttons. It is hoped to be of use to collectors, metal-detectorists, archaeologists and anyone interested in the design aspects depicted on livery buttons. With estimates of around 70,000+ different designs it will be a long term project and I don't profess to be able to obtain images of and identify them all! I would welcome good clear images of buttons either identified or not so that they can be added to the site. Please send them to me Kev Woodward at [contact details will be returned once I have cleared a backlog of identification requests - apologies for any inconvenience] I would also welcome comments on enhancing the site for your researches. To ease finding the button you may wish to identify each main design theme has been grouped into separate pages, eg: if a lion is the main theme it will be found on the lion page which is also broken down into the different postures - lion rampant, demi etc. If two main themes are on the design, such as a crescent between wings then the image will be on both wings and crescent pages. 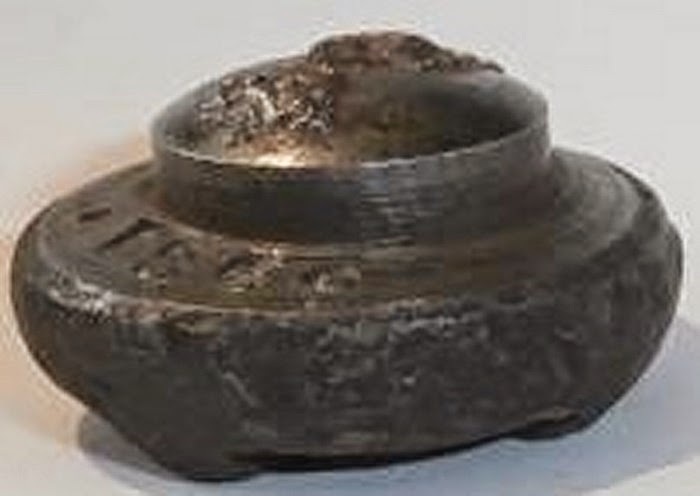 This has been done to assist metal-detectorists as some of their finds can be damaged or corroded so they sometimes have fragmentary evidence on which to identify their find. With a project of this size and complexity there will be mistakes and for that I apologise. If you spot any I would welcome your feedback so that it can be corrected. If you wish to search for a name please use the search facility at the top right corner. If you know of the whereabouts of any livery button pattern books then I would love to hear about them as these give the most accurate information possible. I know some have had their contents removed and the buttons sold separately; this is a great shame as the information is now lost. 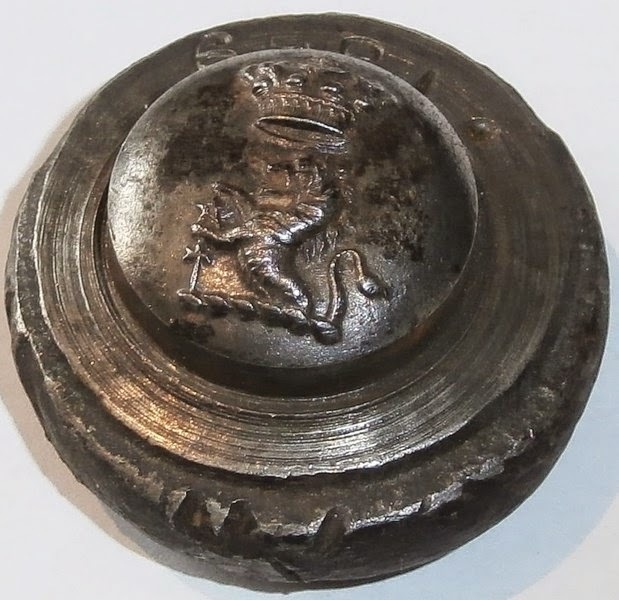 All the buttons on this website will at one time have been attached, or destined, to be attached to a Livery Uniform, commissioned and paid for by the head of the household. 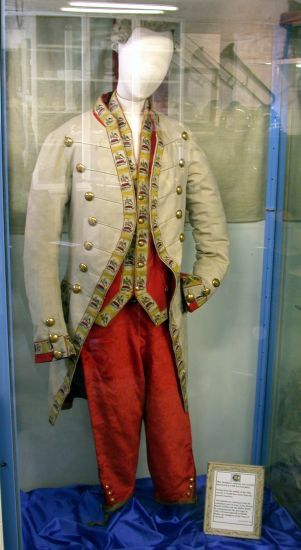 These uniforms were used by the servants of the appropriate families on special occasions and were a display of the family 'colours'. 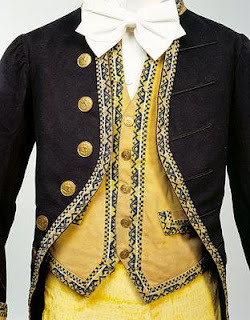 They came in many different colours and styles conforming to family traditions and the whims of the head of the family. A couple examples are shown to illustrate the style of the time. 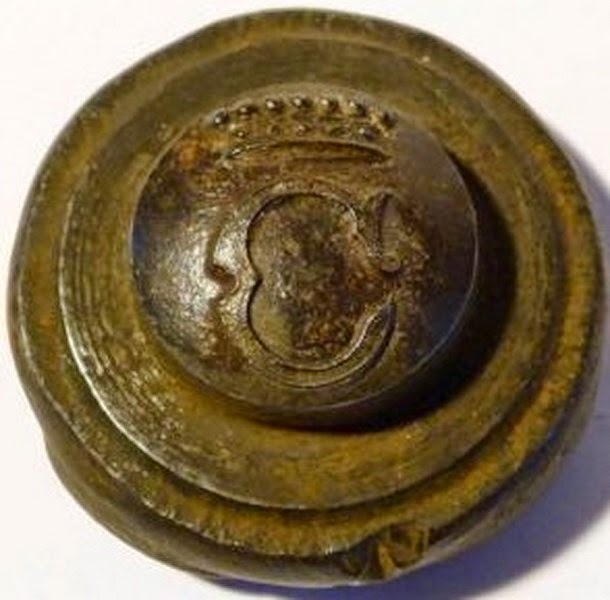 Why do so many livery buttons get found by metal-detectorists in the UK? 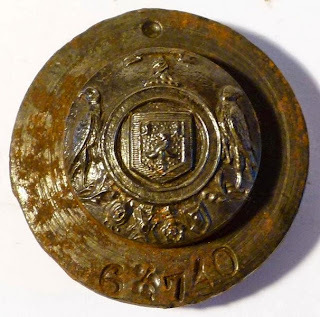 A few must surely have been lost whilst in use on the uniforms but that will not account for the hundreds found each year. A more likely reason was the practice of 'shoddy'; this is backed up by the many that are found in an otherwise rural and isolated area. Shoddy is where old clothes were either cut up or shredded and placed directly onto the land as a form of fertiliser. It seems that the buttons were no longer in fashion so were not recycled. Over the years the fabric will have rotted away, leaving us with just the buttons. 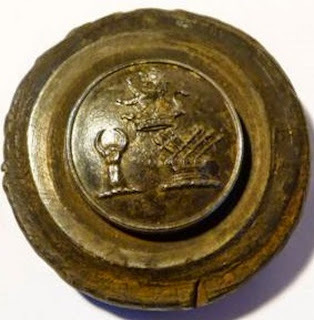 This is the main reason for the thousands of buttons and buckles found by detectorists and their efforts are to be congratulated as they are unearthing unknown livery buttons and recording them here. I welcome good clear images of your found livery buttons, I can't guarantee an identification but I will give it my best shot. As a researcher into the crests on livery buttons the most frustrating situation is the fate and whereabouts of the original pattern books. It appears that the vast majority of them have either been lost or the contents removed and sold separately without the family name being attributed to them. I have been fortunate in finding and securing one of these pattern books which is from the firm of Jennens. As usual the contents have been removed for sale but as can be seen from the pictures some useful information can still be gleaned from it. As well as names of those families and retailers listed in the squares where the button was stored the suede cushioning page opposite has, in some cases, left enough of an imprint to be able to match up crests to the correct family. It should also be noted that this book also helps with dating the buttons it held as the pink label inside the front cover displays the date the book was opened on 17 June 1892; therefore all buttons in the book will most likely post date this. If anyone is able to furnish me with the whereabouts of other pattern books I would be extremely grateful. I am sure that there must be some in museum collections and even in private hands. Obviously pattern books with their contents intact would be best, but as has been shown even empty ones can be of some use. I can be contacted at the email address given at the top of this page. It is my intension to be able to list the known whereabouts of pattern books once they become known for the information of fellow researchers. The complete book measures 38x38x16cm and is a heavy volume even without the buttons. Detailed views of the chamois leather cushioning pages showing the imprints of some of the buttons. The label from the inside of the front cover showing who made the book and when it was first used. 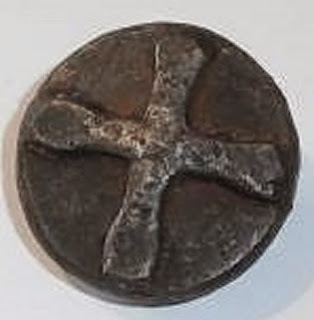 Some examples of livery button dies used to manufacture the type of button whose construction can be seen on the vast majority of the buttons on this site.